Descriptionесины И ЗАЩИТНИК - декоративная деревянная окраска в полупрозрачных цветовых оттенках для всей внешней и внутренней работы по дереву. Это производит гладкое прозрачное, атлас матовая поверхность. Зерно и структура леса подчеркнуты. Osmo Индустриальный ЦВЕТ СТРАНЫ доступен в белом непрозрачном полу блеске (5730) и в белом непрозрачном атласе, матовом (5731). стриальные краски - естественная базируемая нефть. Естественная нефть проникает глубоко в лес, держа это упругий и здоровый, и препятствуя этому стать сухой и ломким. Сокращение и опухоль уменьшены. Лесу позволяют дышать. Влажность может испариться. Стандартизации 9001 (качественное управление) и ШУМ В Международная Организация по Стандартизации 14001 (экологическое управление) TЪV (Технический Пульт управления) Rhineland. 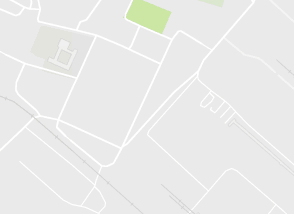 Применение . ота по дереву, которая желательна, чтобы поддержать ее естественное появление, как деревянные оболочки, балконы, окна, вагонетки, панели, ослепляют, дачи, цветочные коробки, зеленые здания, перголы, заборы, экраны, деревянные ворота и палубы. When using several cans with different batch numbers please mix together in one large container to ensure uniform coloration. As the transparent colour will be influenced by the natural colour of the wood, the result can deviate from the colour shown on the colour card. As a rule corresponding or slightly darker shades will give the best results (trial application recommended). Light shades are less UV-resistant than dark shades and should preferably be used for sunprotected areas. Osmo Industrial COUNTRY COLOR is available in white opaque semi gloss (5730) and in white opaque satin matt (5731). Rough or striated wood in general needs more material due to its surface struc­ture. Wood surface must be clean, dry (maximum moisture content 20 %), and frostfree. Old paints and varnishes must be removed (by Osmo PAINT REMOVER or by sanding). Old micro-porous stains only need to be cleaned. Where possible apply first coat on all sides of the wood before installation. If a biocide-free water repellent protection is preferred, apply Osmo Wax Impregnation WOOD PROTECTOR without synthetic biocides. The products are compatible with Osmo WOOD STAIN AND PROTECTOR, Osmo ONE COAT ONLY, Osmo CLEAR OIL WOOD FINISH, Osmo WOOD OILS as well as other micro-porous stains and semi-oil wood finishes and pressure impregnated wood. In areas of high humidity the use of gal­vanized, non-oxidizing nails and faste­ners is recommended. 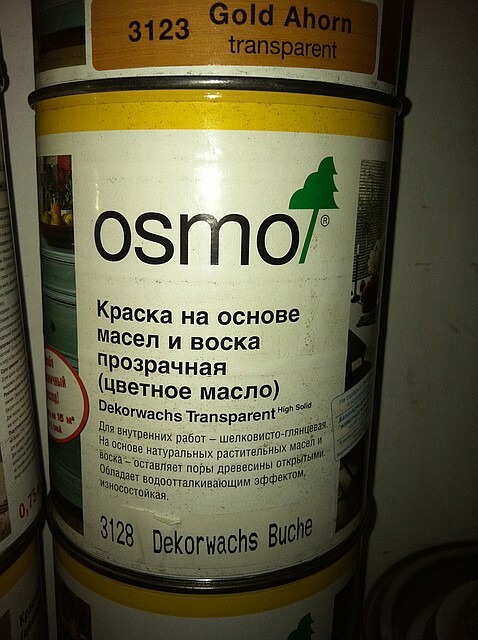 Osmo Industrial paints are ready to use. Please do not thin. Stir thoroughly. The Industrial paints can be applied by spray painting (e.g. HVLP = High Vo­lume Low Pressure or Airless) as well as other methods (brush or with cloth). If a more satin surface is desired , finish with one coat of Osmo CLEAR OIL WOOD FINISH 000. This will also prolong the durability of the finish. With Osmo Brush Cleaner (benzene-free) or white spirit. Very simple. Just a further coat on clean, dry surface. Can be stored up to 5 years or more if can is full and tightly closed. Store in dry place. If thickened by frost it will regain its normal consistency under normal temperatures within 24-36 hours. Fire conduct in compliance with demands of German DIN 4102 (fire conduct of building materials and components) Class B2 (normal inflammability). Flammable. Keep out of the reach of children. Do not fill into containers normally used for food and drink. Work in areas with good ventilation. Do not apply in the presence of naked flames, hot surfaces or unprotected electrical equipment. In case of contact with eyes rinse immediately with plenty of water. Contains 2-butanonoxime. May produce an allergic reaction. Wash out any used cloth immediately or store in a airtight container (danger of self ignition). Do not use the Osmo Industrial paints together with nitro cellulose laquers or nitro cellulose stains in the same spray booth (danger of self-ignition).